The dates for the 2014 Goodwood Festival of Speed and Revival have been announced, subject to change, pending ratification by the FIA of the 2014 Formula 1 calendar in December. All of the Goodwood events promise an array of cars and motorcycles, plus star drivers and riders, and plenty of other attractions for spectators of all ages. The 2014 Goodwood Festival of Speed will take place from Thursday 26 June to Sunday 29 June. The 2014 Festival promises to be packed with action and excitement, as the most glamorous racing machinery and famous drivers gather together in the surroundings of Goodwood Park. The theme for the 2014 Festival will be announced shortly. The Goodwood Festival of Speed will open with the Moving Motor Show on Thursday 26 June 2014, to give new car buyers and enthusiasts the opportunity to see the latest models up close, and in many cases drive them on a vehicle evaluation route within the grounds of the Goodwood Estate, including the Festival hillclimb. The 2014 Goodwood Revival is set for the weekend of 12-14 September 2014. The sell-out Revival is a step back in time, celebrating the halcyon days of motor racing as it used to be, with all of the accompanying spectacle of the era. Competitors and spectators alike dress in period fashions, with the finest sights and entertainment of the pre-1966 era for all to enjoy. In addition to the Festival of Speed and Revival, Lord March also confirmed the dates for the new 72nd Goodwood Members’ Meeting, to be held on 29-30 March 2014 exclusively for GRRC (Goodwood Road Racing Club) members at the Goodwood Motor Circuit. 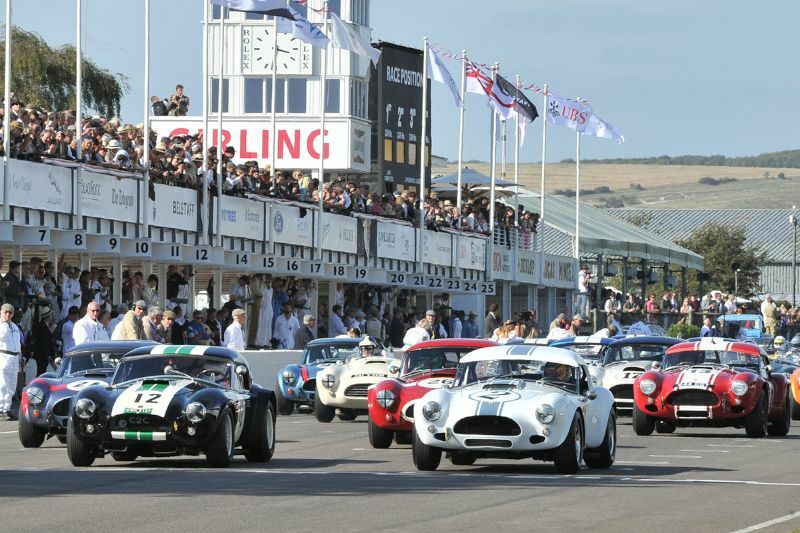 As in previous years, admission to Goodwood motorsport events will be strictly by advance ticket only, with 2014 ticket sales commencing at 9am on Thursday 31 October 2013. All young persons aged between 13 and 21 can purchase Festival of Speed and/or Revival tickets for half the full adult price. Children aged 12 and under remain free of charge for 2014, as does car parking. The price of adult entry tickets starts from just £27. For more information and to purchase tickets, goodwood.com/motorsport.